Heart of Spain, directed and co-written by TDPS professor Peter Glazer, tells the story of the US citizens who volunteered to fight against fascism in Spain during the Spanish Civil War (1936-1939). | Alessandra Mello. BERKELEY, Calif. – Eighty years ago an epic struggle began, largely to be overwritten in public memory by World War II and smeared by the anti-communist witch-hunts that followed. 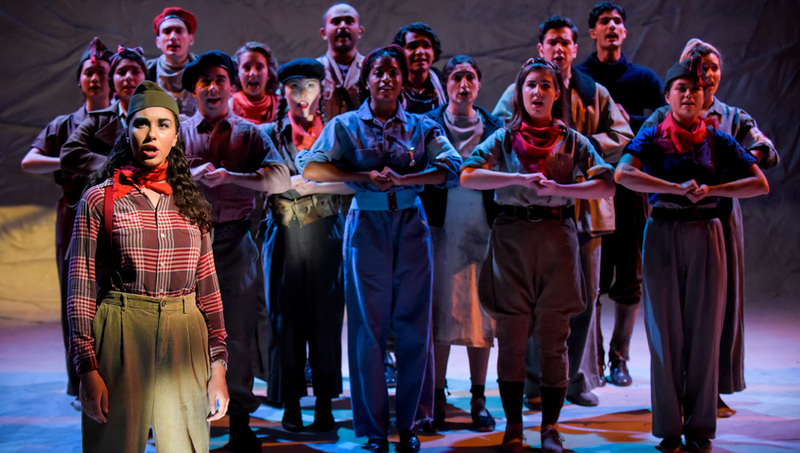 Now a dramatic and intensely political musical play, Heart of Spain: A Musical of the Spanish Civil War, is running just through this weekend, at the Zellerbach Playhouse on the University of California at Berkeley campus. As Spanish fascists sought to overthrow the Second Spanish Republic, nearly 40,000 fighters, medical workers, truck drivers and others came to Spain from some 50 countries, to fight alongside the Republic’s forces in an ultimately futile attempt to repel the onslaught of General Francisco Franco’s fascist army, backed by Germany’s Adolph Hitler and Italy’s Benito Mussolini. Some 2,800 U.S. volunteers journeyed there, defying Washington’s explicit policy of strict neutrality and the laws that enforced it. One-third never returned home. The history of these “premature anti-fascists” has been kept alive, first by the Veterans of the Abraham Lincoln Brigade the returning fighters founded. And now by the Abraham Lincoln Brigade Archives, together with families and friends who seek to warn of what can happen when a rising far-right threat is ignored. The last known surviving fighter – Californian Delmer Berg – was over 100 years old when he died earlier this year. In the short space of just over two hours, Heart of Spain, with book by Peter Glazer and music by Eric Bain Peltoniemi, probes the many reasons Americans went to Spain in 1936 and 1937. It examines the conditions they were experiencing in the Great Depression, the obstacles they had to overcome in both personal and work lives, and the underlying and often conflicting political and ideological currents of the times. The work premiered at Northwestern University as a workshop production in 1999, with a full-dress performance there the following year. 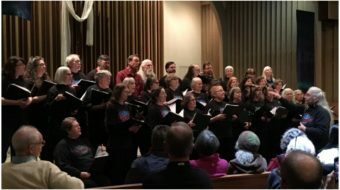 Now it is being performed by students in the University of California’s Department of Theater, Dance and Performance Studies and other departments. As the play opens, the historical context is set with recollections of World War I, the Great Depression and the intense class conflicts it brought to the fore. Heart of Spain recounts the harrowing experiences the volunteers experienced as they struggled over the steep peaks of the Pyrenees Mountains on their way into Spain, the perilous conditions they faced as they entered battle – largely inexperienced, poorly equipped, but determined in their mission. And the play doesn’t shy away from the internal struggles and conflicts many brigadistas had to work through while in Spain. The play also reflects the international character of the struggle including the role of the Soviet Union, and tells the stories of fighters from many countries including anti-fascist Germans and Italians, as well as the Spanish Republicans themselves. Especially moving is the tribute paid to the volunteers by Republican leader Dolores Ibárruri, La Pasionaria, as they departed Spain in the fall of 1938 as part of the Republic’s effort to win British and French support. 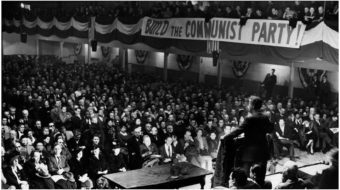 The Communist Party USA’s important role in recruiting and organizing the volunteers – many themselves CP or Young Communist League members – is well reflected, as is the party’s support for them during the struggle and when they returned home. Also shown are the anti-communist challenges the brigadistas faced, both before and after their service in Spain, and their different progressive paths after returning home. The work draws on songs and poems that inspired the brigadistas, and on their own letters, poems, songs and speeches. The musical score combines traditional folk songs of the Spanish Civil War with songs composed specially for the play. Words, music and brilliant performances by the 17 student actors combine to make Heart of Spain a must-see experience. Final performances are Oct. 28, 29 and 30. Tickets start at $13. 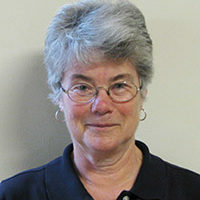 Glazer, a playwright and an Associate Professor in UC Berkeley’s Theater, Dance and Performance Studies Department, is also a member of the board of the Abraham Lincoln Brigade Archives (ALBA). Peltoniemi, a longtime singer-songwriter, recently retired as head of Red House Records, a Grammy-winning independent folk, roots and Americana record label. Glazer says his work was inspired by his folksinger father’s singing songs of the war as he was growing up. His father, in 1944, recorded an album of 78s with Pete Seeger – the first American recording of songs the volunteers sang in Spain. UC Berkeley has a special connection with the Spanish Civil War. PhD student Robert Hale Merriman became the first commander of the Abraham Lincoln Brigade, and was killed in battle in spring 1938. His widow helped form the Bay Area Post of the Veterans of the Abraham Lincoln Brigade. The post has donated an extensive collection of papers, letters, photographs and posters to UC Berkeley’s Bancroft Library. Other events now at UC Berkeley include a gallery exhibition, Guerra Civil @ 80, at Bancroft Library, running until Dec. 15, and Incite the Spirit: Poster Art of the Spanish Civil War, at Townsend Center for the Humanities, 220 Stephens Hall, which closes December 16.